Are You In Need Of A Garbage Disposal In Wickenburg? Many of Option One plumbing service calls in Wickenburg involve garbage disposer problems. They may be one of the most misused appliances in any home. Few people realize that garbage disposers are only designed to handle light food residue that is rinsed from plates and cooking utensils before they go into the dishwasher. A good disposal can last many years, but it is not uncommon for it to require repairs once in while. Since some problems can be more complicated, a total replacement may be your best option in order to prevent any serious issues. Option One plumbing can handle your garbage disposal repair in Wickenburg and, if necessary, we can install a new unit quickly, without a mess, and at an affordable price that beats our competition. Your satisfaction is guaranteed. 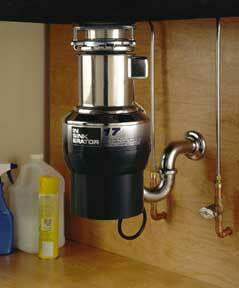 Call Option One Plumbing in Wickenburg today and we will fix your garbage disposal right away! 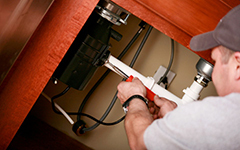 Our experienced plumbers also can address any other plumbing problems in Wickenburg you might have. Such as: Water leaks, gas leaks, toilet repairs, drain and sewer issues, faucet repairs and installation, and Wickenburg low water pressure issues.